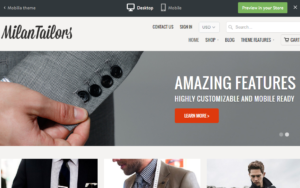 Every month thousands of merchants look for “the best Shopify themes” to enhance their Shopify store’s look in order to hopefully increase website conversions. Selling on Shopify but not willing to dish out money for a Premium theme? 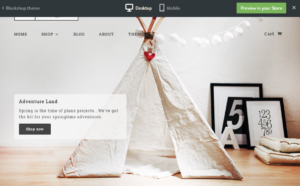 No worries, we got you covered with some free Shopify themes for 2016 as well! 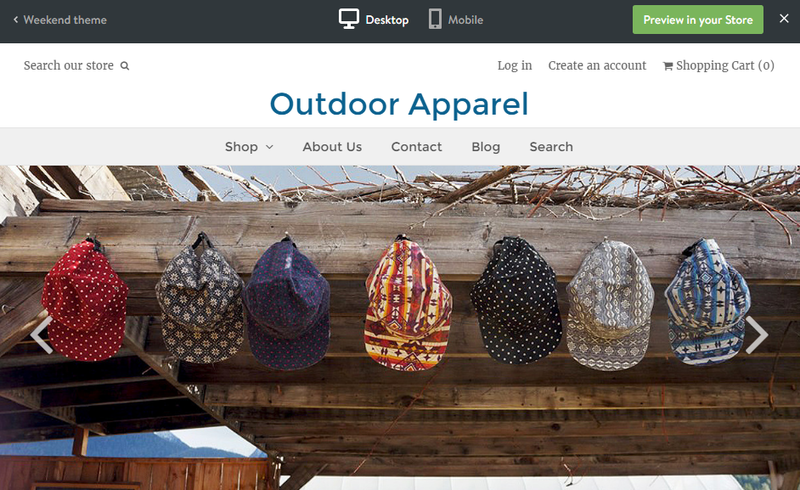 While there aren’t many free Shopify themes, there are some really excellent ones that you can use to get up and running. 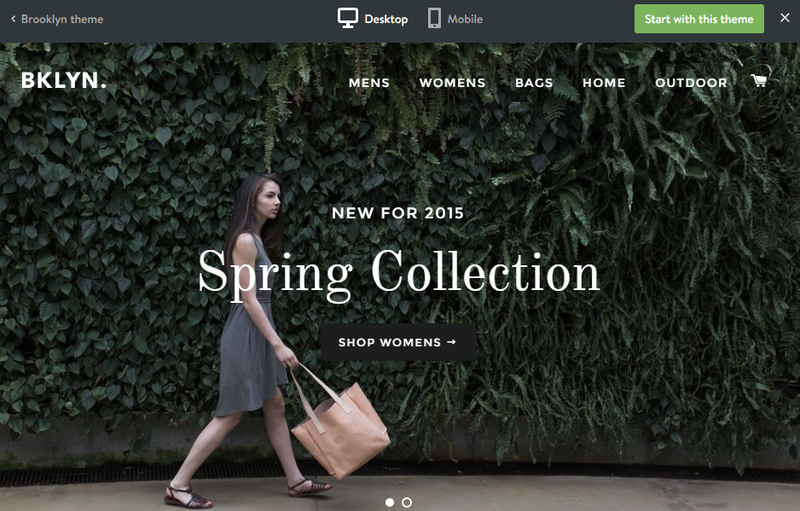 Check out our 21 favorite, money-making, Shopify themes for 2016! A free Shopify theme that can be used to create a modern-looking store no matter what you are selling. Ideal for smaller stores, 20 to 50 products. 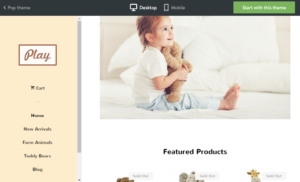 The theme offers good features including edge-to-edge homepage, dynamic product page, amazing responsive and user-friendly design, unique typography and much more. It is currently our number 1 because it is simple, effective and it fits perfectly with design philosophy. You can get it for free, just click here. 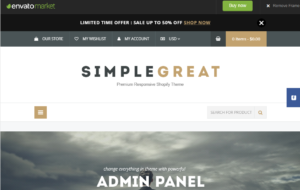 SimpleGreat is a universal multipurpose 100% responsive Shopify theme with built-in Blog for any kind of shop with modern design and powerful back-end. It is created using the latest HTML5 and CSS3 features so design bugs should be a thing of the past. 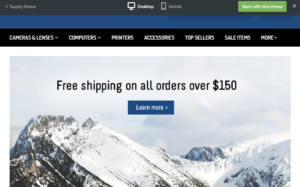 The extensive admin panel with easy navigation and dozens of configuration options helps you somewhat easily attain a fairly customized Shopify store. It costs 59$ and you can buy the theme here. 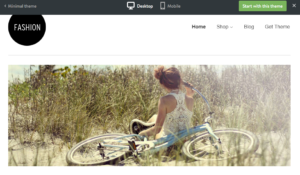 Lookbook Retro has a fully touch-friendly design, which allows you to scroll sideways on devices that support scrolling. 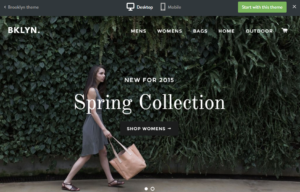 This allows for a beautiful showcase of your products to all of your tech-savvy customers. It supports customer accounts, drop-downs and has a fantastic slide-out cart. It is best for shops with high-resolution photography. It is better than other themes because its full-page design focuses on the product and nothing else. Checkout is as simple as it can get. You can use this theme for free if you click here. The Blockshop theme draws on flat UI design – boasting spacious, customisable layouts with a minimal user interface that endures trends with simplicity and style. Blockshop is a unique, premium Shopify theme, which is perfect for emerging and established businesses, start-ups, boutiques and artisans. It is made for everyone and built to sell anything. It costs 140$ and you can get it here. The Weekend is one of the most impressive themes in the Shopify theme center. It offers top quality responsive layout that can improve on the idea of creating a fully-furnished theme with amazing visuals. Large, full-screen images make this theme look friendly on mobile devices including the iPad and iPhone, as well as Android. 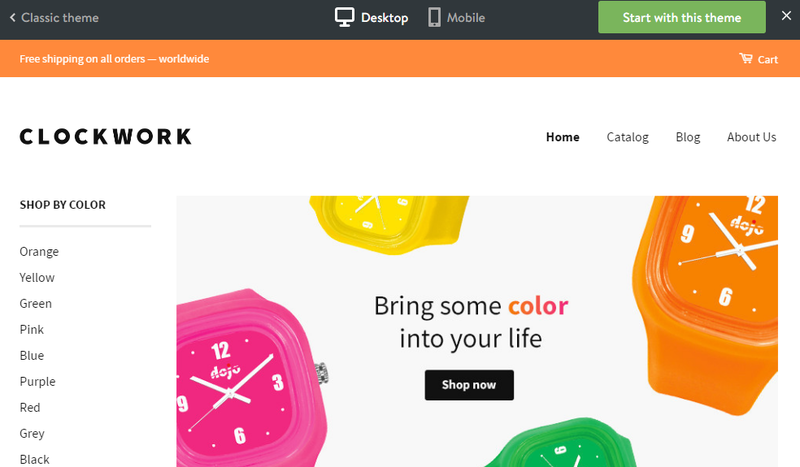 This theme also offers excellent “add-to-cart” functionality. The functionality can easily be used by the store owner to sell his/her items. With great support, excellent customization option and grid system. It costs 160$ and you can buy it here. 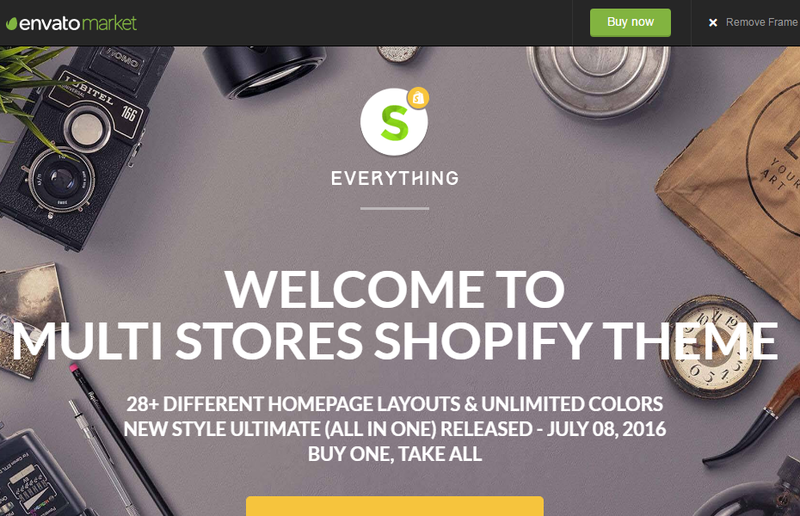 Everything is a Multipurpose Responsive Shopify Theme with modern, clean style design. 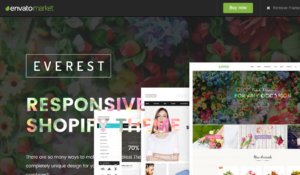 It is fully responsive, include 22 different homepage layouts and unlimited colors. It looks stunning on all types of screens and devices. It is great as a starting point for your more custom projects. 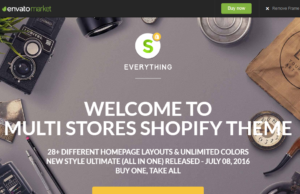 Easily considered one of the best Shopify themes for 2016, it will run you 56$ and you can get it here. Pop is a free Shopify theme collection that includes a total of 2 free themes – Pop Bone and Pop Toy. The best thing about Pop – Toy Shopify template is the “kid friendly” design, soft colors and a nice featured products section. The design itself is very simple but beautiful. Get if for free here. 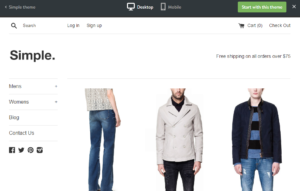 It is ideal for stores with large inventories, because the theme Classic is designed with the traditional ecommerce merchant and consumer in mind. 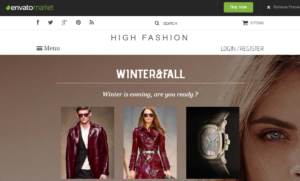 The theme features a large sidebar that can be used to feature multiple levels of navigation and custom content like ads or promotions. Classic also includes a responsive design, a rearrangeable homepage and 3 modern styles to start with. Bring some color in your life! Try it for free here. 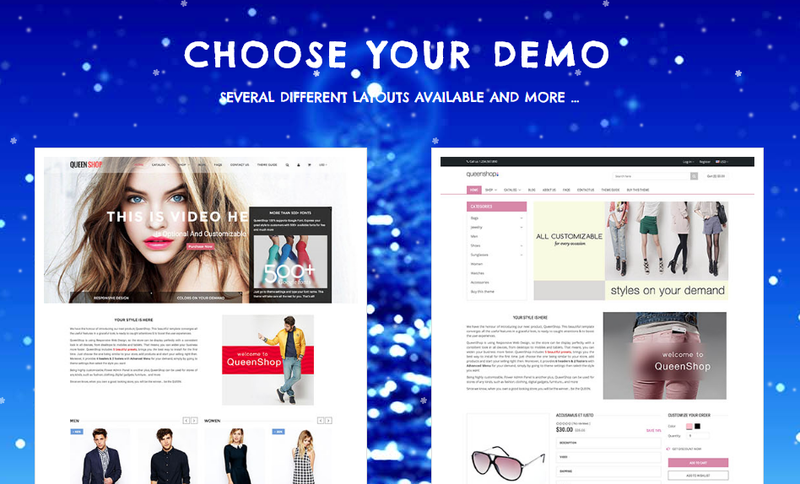 Geared towards the fashion industry, the Bewear Shopify Theme offers to you 2 different kinds of lookbooks, fully designed in detail and responding to the needs of these kind of subpages. You can add nice pics of looks to category header pages and invite the client to blog pages where he can get inspired – everything to make the client stay on your website and enjoy the time spent. The theme is yours for 56$ and you can get it here. 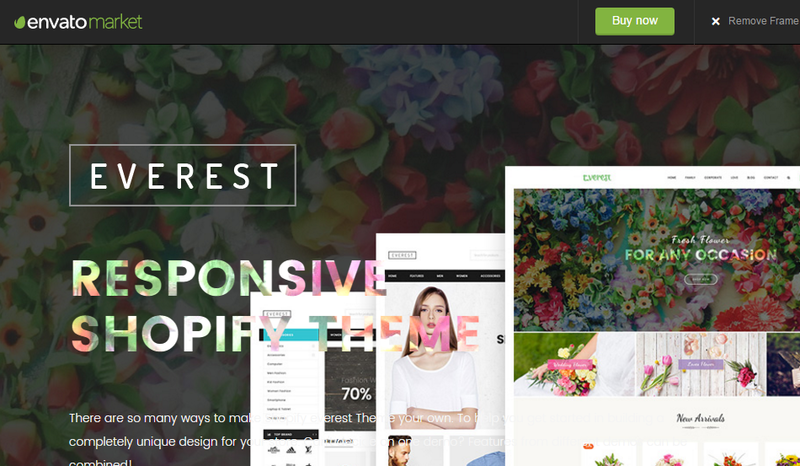 This theme is inspired by modern e-commerce designs. It’s best suited for any store including fashion, furniture, lingerie, technology, accessories etc. You can get it for 56$ here. Qrack – Responsive Shopify Theme with Mega Menu is a modern, clean and professional Shopify theme and it comes with a lot of great features that would take you months to develop. It is fully responsive, it looks stunning on all types of screens and devices. It includes easy to set up to your Instagram feed and Twitter widgets. 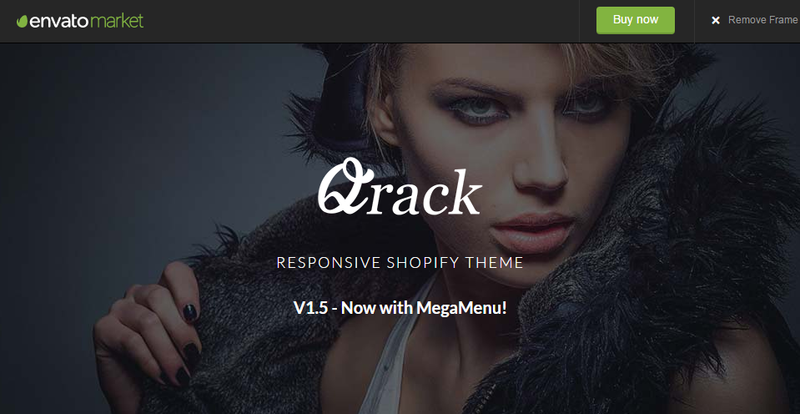 Qrack theme is yours for 56$, buy it here. It is great theme because it has piles of customization options, as well as quick and reliable support. 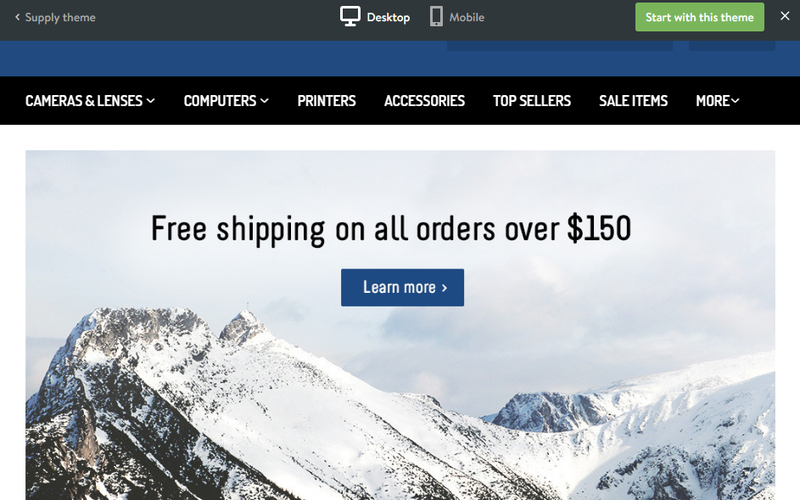 It is highly recommended if you are using Shopify and want a powerful, feature-rich theme. It will cost you 56$ and you can get it here. 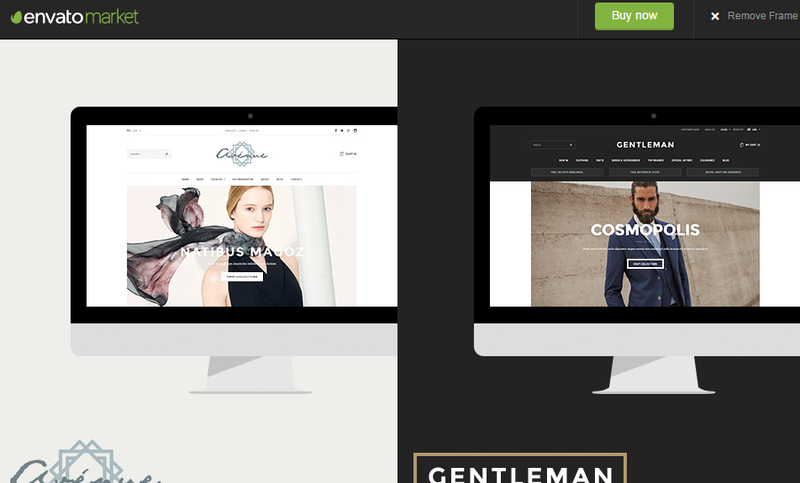 Another amazing fashion theme for shopify is the Avenue – Responsive Fashion Theme. It brings you a very nice and neat design. Your online store is going to be so fascinating that once visiting the site, your customers will hardly take their eyes off. Buy it for 56$ here. 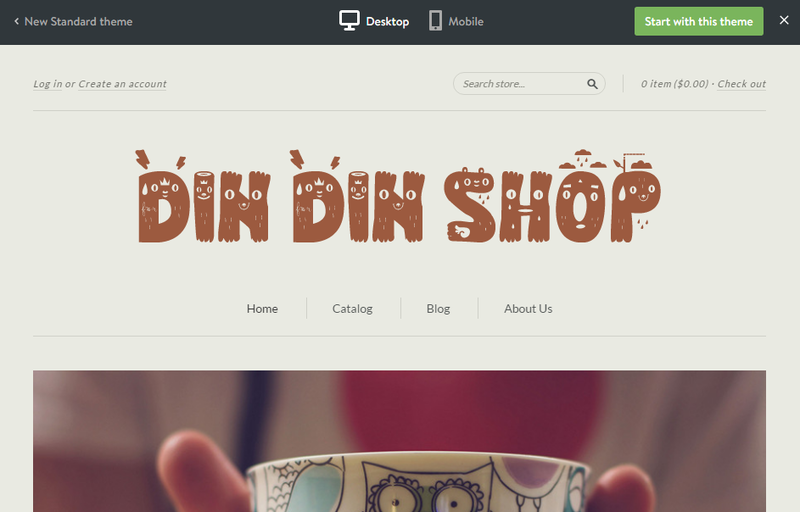 Featuring a special layout that will easily help you define a modern, fashionable look for your shop. Other notable available functions are the blog, product image effect and the dropdown menu which allows better navigation for larger Shopify stores. You can buy it for 56$ here. 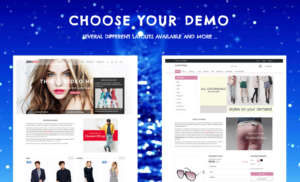 Minimal fashion theme is clean, fully responsive (it renders perfectly on desktop and mobile devices), and includes multiple, enlargeable product previews. It also allows you to add a “Sale” icon to any individual listings, which is a nice and conversion-enhancing touch. 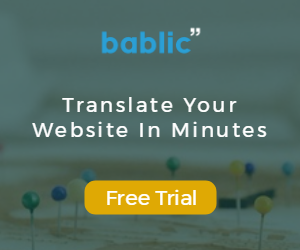 It’s packed with great features that you can customize according to your brand including the background layout, typography, product and collection views, navigation, color schemes and images. Get it here for free. 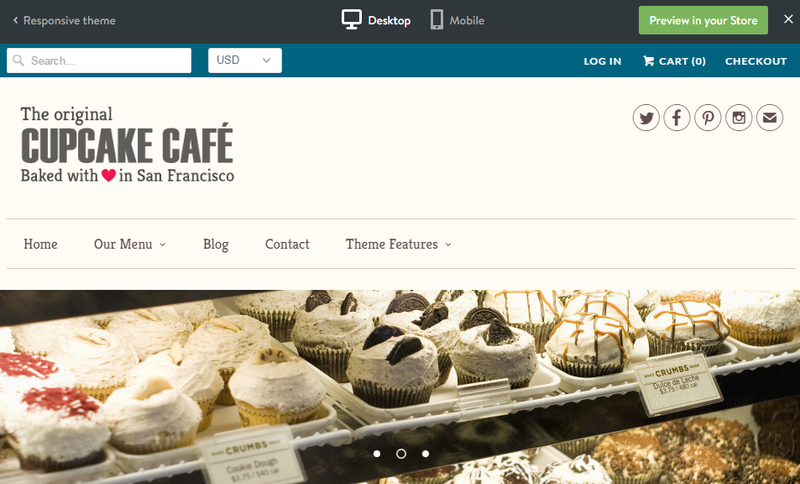 Another great-looking Shopify theme is San Francisco. 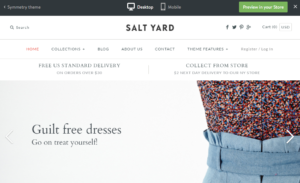 It exudes a fanciful treatment of what e-commerce shops should look. The fun and pleasing earth tone pastel colors will win the hearts of your customers. The advanced features of this theme also makes it a delight to use. This theme offers in-depth customization but the default design is already pretty and functional. This theme costs 160$ and you can buy it here. Salt Yard is a dynamic theme for Shopify. It comes with Live Search feature so customers can quickly find the items they want to buy. The homepage layout can be changed in a modular fashion, features or content areas can be toggled on or off. 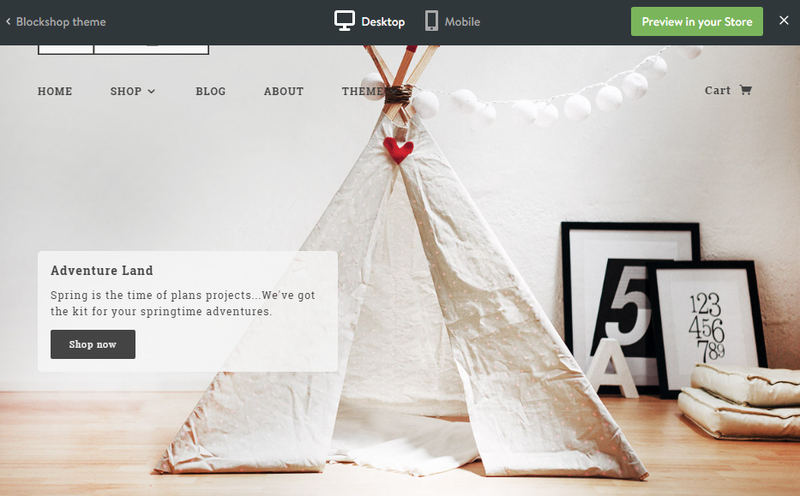 This theme also supports insertion of custom HTML codes. You can buy it for 180$ here. 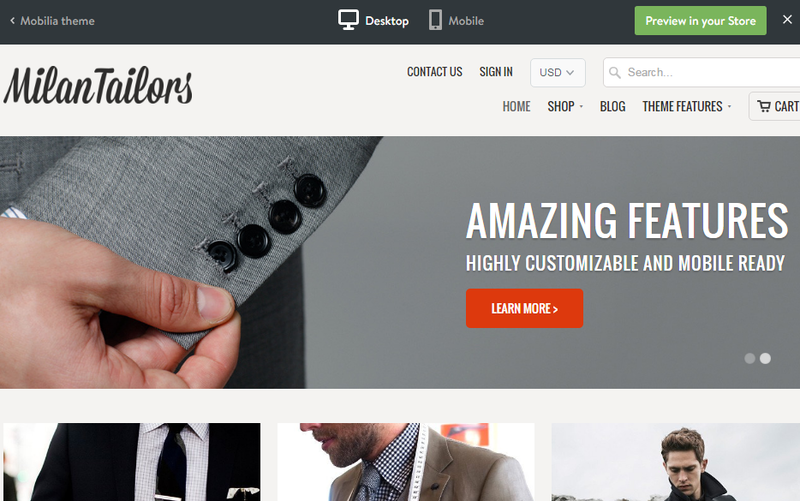 Those are our favorite responsive Shopify themes for 2016, we hope one of the above themes will help you achieve a more professional brand image as well as eventually a better conversion rate once your chosen Shopify theme is properly integrated. If we missed any Shopify theme you’d like to recommend go ahead in the comments, we’ll keep posting about the best Shopify themes once in a while since new ones are launched almost daily! Thank you for this compilation! I agree with Rock Paper Copy. I think that a list of plugins would be a great addition to the list of themes. If you’re going to write it, I advise you to take a look at https://elfsight.com/instagram-feed-instashow/shopify/. It would be interesting to read your review on it. Thanks!